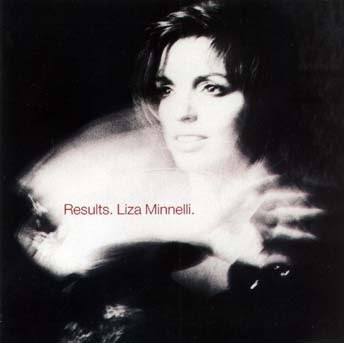 This month, 20 years ago, Liza Minnelli was in London and there she began work on an album with the Pet Shop Boys. Today, the album Results, is still one of Liza's most acclaimed. Results had four singles; Losing My Mind, Don't Drop Bombs, So Sorry, I Said, and Love Pains. Only Losing My Mind was a top ten hit in the UK where it got to number 6 in the charts in August of 1989. Results also got to the same position in the album charts. Results also features two other great covers that I loved; Twist in my Sobriety and Rent. The Pet Shop Boys seems to be have been on every decent pop blog during the past few weeks and I don't think there is a true pop fan in the world who dosen't love a Pet Shop Boys song. My favourites are Love Comes Quickly, It's Alright and Rent. Apart from Erasure's Sometimes no other pop lyrics made such an effect on me growing up. Over the next few months I will be posting some music related TV interviews from the 1980's. Some of these will be from the Wogan show. Terry was and still is a presenter and talk show host that people either like or don't but I have always liked his style. Terry had the best of pop artists on his TV show then and bless all the kind people who must have put their VHS video tape clips on Youtube. Below is an interview on Wogan with Liza, Chris and Neil. The guys are so young here and Liza looks just gorgeous. It's great to hear them talk of putting Results together, Liza hearing the song Rent for the first time. Liza's 'what should I wear?' story is class too. Neil speaks of the great Derek Jarman and also about meeting Frank Sinatra and Sammy Davis Jr. It's not Terry's best interview ( the 'simple souls' tag falls flat) but it's funny in parts and it's great to see Liza so relaxed and happy. Here's the wonderful Losing My Mind as performed on the show.